Cow Appreciation Day is Tuesday, July 12, 2016 from opening until 7:00 PM. This year we’ve simplified the reward. In order to make the award more consistent for all and provide the highest guest experience, anyone wearing anything cowlike will receive a free entrée! Guests in cow attire may select any breakfast, lunch or dinner entrée. Kids dressed like a cow may select a Kid’s Meal. 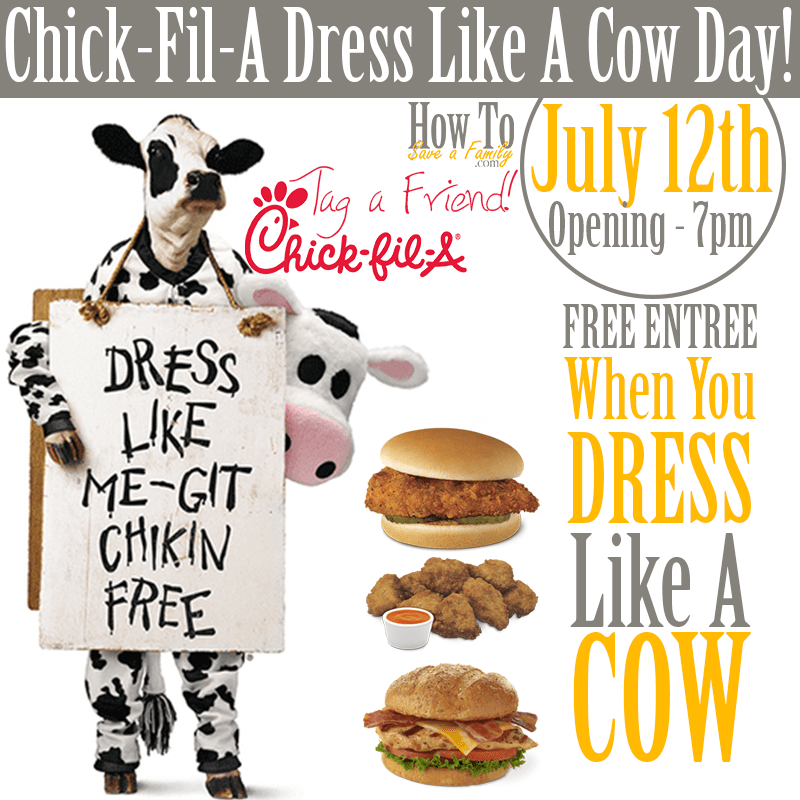 You google chick fil a cow suit and download a free pdf paper cow suit.